UPC Hungary, the largest cable operator in Hungary and part of Liberty Global, is the first Pay TV operator in the world to deliver online video to its set-top box subscribers across the managed broadcast network. The company is making the complete YouTube Leanback experience (and not a sub-set of the YouTube catalogue) available via its QAM network, meaning that the new content can be made available to subscribers across its legacy STB footprint. The company did not require any new devices and estimates that the hardware (excluding cloud infrastructure) cost for the upgrade is EURO 1 per set-top box. The triple-play provider has 910,000 video subscribers, 408,000 of which are digital cable subscribers who use a mixture of SD and HD set-top boxes and CI Plus CAMs to access video services. 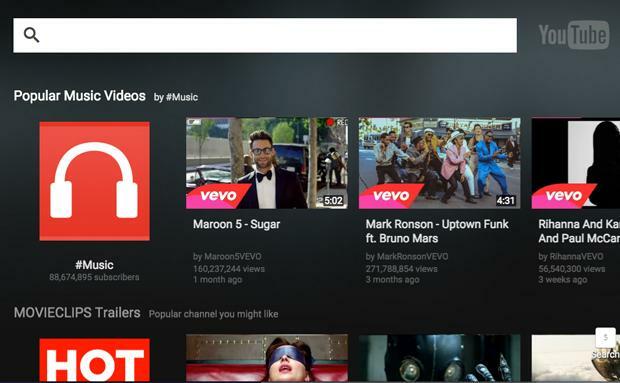 The YouTube service was made available last May on 200,000 HD set-top boxes, then extended to SD set-tops and is now accessible in 520,000 homes. The service uses the CloudTV StreamCast software from ActiveVideo in the backend to convert streaming video into â€˜broadcastâ€™ QAM streams and render the UI and video streams. Metrological also worked with UPC Hungary and YouTube on the interactive application. Thin client ActiveVideo software was downloaded to the set-top boxes to send remote control key presses (e.g. up, down, left, right, Enter) to the cloud platform. When a user tunes to the YouTube channel they are connected to a cloud-based browser that points to the YouTube Leanback URL. When a video is selected, it is streamed from YouTube servers. This video can be passed through the UPC Hungary cloud platform or transcoded in real-time. Because the video is being processed for QAM distribution to standard cable set-top boxes, there is no need to support adaptive bit rate (ABR) streaming video in the end-devices, or the DRM systems used by online video services such as PlayReady or Widevine. Instead, the content arrives in homes as MPEG-2 or H.264 video. The UPC service uses the existing HTML5 YouTube Leanback user interface that includes search as well as navigation. The HTML5 is rendered in the cloud rather than on the device, which is another reason why the new service is available to the whole legacy STB population. The UI elements and the video stream that together make up the â€˜pictureâ€™ that a user sees on their television set is stitched together into a single MPEG stream of video. To the set-top box this looks like a standard television channel. Any set-top box with a tuner and decoder can therefore display a fully interactive online video service in this way. The YouTube channel uses the same bandwidth as a standard VOD channel using QAM infrastructure. UPC Hungary views the YouTube channel as a value-add rather than a revenue generator but is keen that customers should use their remote control and platform to enjoy content that they would otherwise access via laptops or tablets. After nine months offering the service, the cable operator has confirmed that YouTube viewing complements rather than competes with prime-time television, declining during peak evening hours. 68% of subscribers have now tried the service and of those, 83% have returned for additional views. Interested in getting online video onto Pay TV platforms? Read more about how CloudTV StreamCast from ActiveVideo makes it possible to deliver online content, including SVOD services, onto entire legacy populations of platform operator STBs. 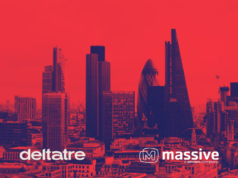 Check out this yearâ€™s Connected TV World Summit, where â€˜Embracing OTT on Pay TV platformsâ€™ will be one of the themes. We will consider the rationale and best practice for a â€˜super-aggregatorâ€™ offering that integrates online SVOD services and potentially content from MCNs and other Millennial-friendly content sources. The conference will assess the potential of online content of all kinds, including long-form channels that curate short-form web content, and explore how this content can be made a part of the platform experience, from both a UEX and a technical standpoint. 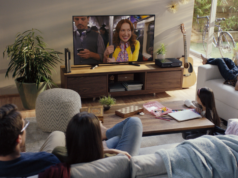 Binge-viewing is now a socially accepted phenomenon, encouraged by online SVOD services, so how do platform operators take their share of the Sunday afternoon feast? We consider the role of recommendations, search and better â€˜packagingâ€™ in surfacing content that already exists, marketing events (like Watchathon weeks) and the potential for nDVR and mega DVR drives to support a box set mentality. We consider the value of the Pay TV operator standalone online SVOD service, and monetization strategies (online subscriptions plus ad-funded bingeing in the traditional bouquet?). With more re-runs within SVOD pay walls, what does that mean for linear channels that rely on old content? What content owners and platform operators can achieve if they adopt a â€˜streaming firstâ€™ mentality. 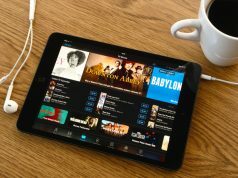 We consider how streaming can substitute broadcast TV, as evidenced by early Pay TV operator 4k strategies, the value of occasional big event STB streaming apps (e.g. Olympics) and expanded regular sports coverage. We will consider how channel owners can create online branded micro-platforms complete with all linear channels alongside on-demand, and how â€˜streaming firstâ€™ can improve the user experience (from multi camera angles to customized commentary to more interactive storytelling). We will ask whether every broadcaster should create online-only shows (like news) or online-only channels as an engine for innovation.